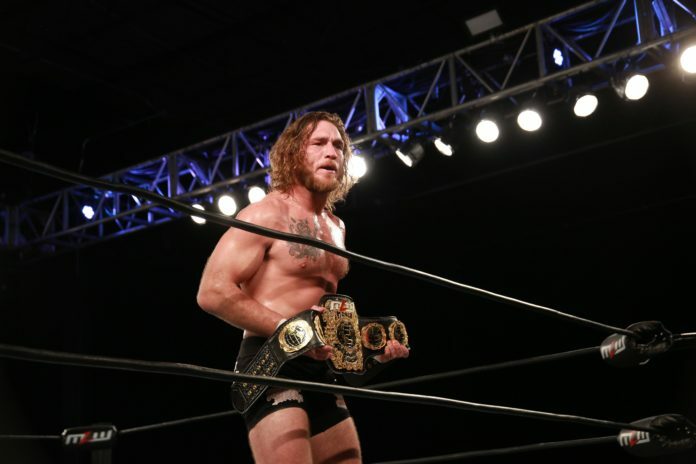 On Saturday night in the 2300 Arena in Philadelphia, “Filthy” Tom Lawlor defeated Low Ki in the main event to become the new World Heavyweight Champion on Major League Wrestling’s SuperFight show. This marked the end of not only the six-month old reign, but Low Ki’s 15-year MLW undefeated streak. The early portions of the match saw the competitors go back and forth against each other, however, things took a turn when Low Ki brought a wooden door into the match from underneath the ring. Low Ki tried to put Lawlor through the door but it backfired as Lawlor sent Low Ki through the door instead. Towards the end of the match, Low Ki used the dragon sleeper to make Lawlor tap out but Lawlor was too aware to fall for it and reversed it into a rear naked choke to make Low Ki submit.